CRAPTASTIC: My First Five Feature Friday! I'm just so excited about my new buttons that I decided to jump on the bandwagon and start doing Five Feature Fridays!! I have seen some AMAZING projects this week! Here are some of my faves! 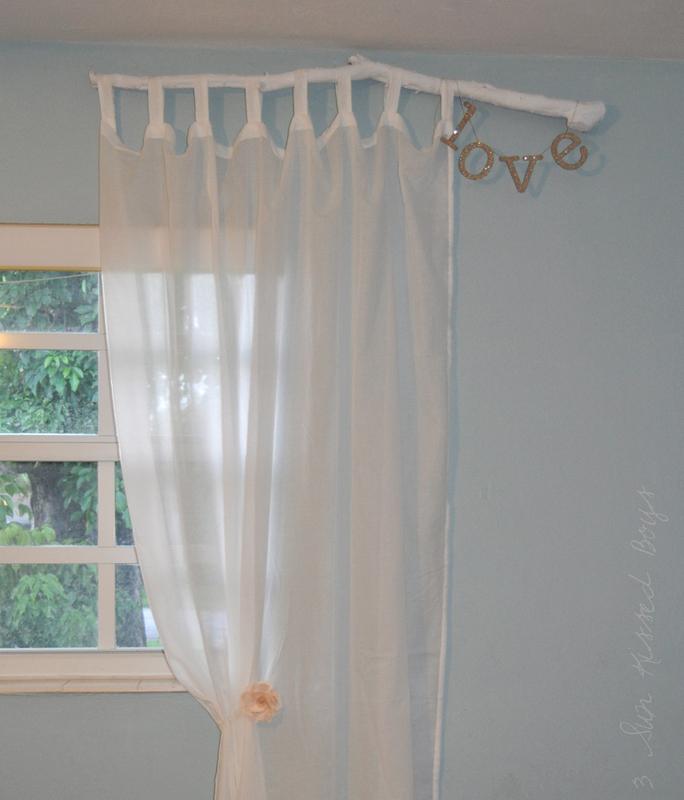 Yanet from 3 Sun Kissed Boys used these oak branches to make curtain rods!! They look so awesome! Both unique, and FREE!! Dream Book Design used resin animal heads, Ikea picture frames and fabric to make this funky wall decor! The fabric is easily removable so it can be changed with the season. Wonder if the hubby would let me do this to his rhino head?! You all know I'm a sucker for chevron! Megan from Miss Madison's Charmed Life has a great tutorial on how to paint these chevron stripes! I absolutely love how they turned out, especially with the space in between each stripe! I love these funky, fresh end tables that Jenna from The Mommy Diaries refinished!! I'm falling in love with yellow, and the design and color of these are perfect!! 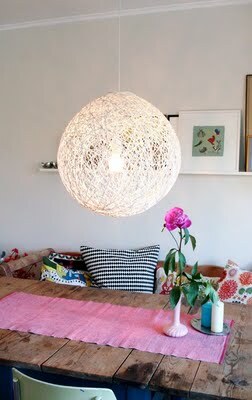 This DIY paper mache lamp from Kim at Too Much Time On My Hands is definately on my list of projects! It looks so cool in her room, and I love her table and colors!! I hope you get a chance to pay all these fabulous folks a visit!! They're amazing! i am so in love with megan's walls! they are awesome! and yanet's window treatments are so cool too! All of the features are great! I love the chevron walls and that moose head is so fun! I can't wait to see what you pick next week. Good job on making your own blog buttons! You can come see my antlers that I did over a year ago! Thanks for the feature, I'm totally excited to grab one of your awesome buttons! I'm LOVING all the other projects, so much inspiration from so many talented ladies! 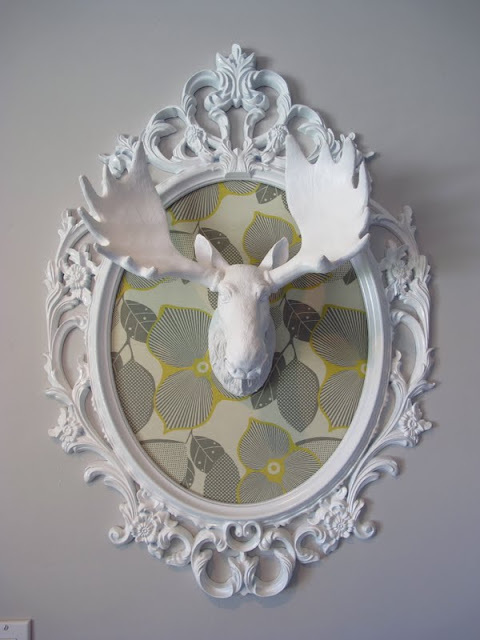 Thanks so much for featuring ur fabric framed antlers Katie! So sweet of you! And nice work on the buttons!!! Thank you, Katie! I appreciate the support.